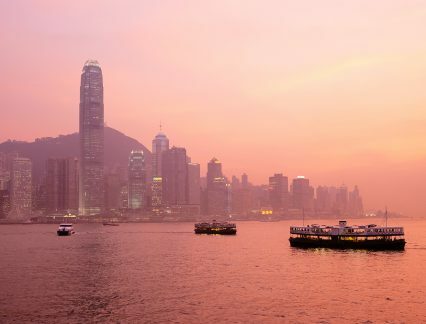 Fintech company Finastra has launched an innovation lab in Hong Kong, designed to enable collaboration between banks and other fintech companies, using Finastra’s platforms. The Future of Banking Centre of Excellence, as it is known, is located in the city’s Cyberport – a hub for fintech startups. It is being launched in partnership with consultancy giant McKinsey, which will collaborate with Finastra in advising banks on how to improve their digital offering. At the core of the hub will be Finastra’s FusionFabric.cloud software, an open technology platform through which fintech companies can develop apps to be used by banks. The platform has been open to early adopters and collaborators since July 2017, but is mooted for full launch in June 2018. In the trade finance space, Dutch fintech company Conpend has already been using the FusionFabric.cloud platform to develop its e-documentation solution, which digitises trade documents using OCR and AI. The second prong of the hub, the consultancy offering, is driven by a shift in corporate customer expectations of their banking partners. McKinsey studies show that 70% of companies are choosing corporate banking relationships based on banks’ digital capabilities. Yet only 20% of banks actually have a digital strategy in place. While Finastra runs a number of innovation centres around the world in conjunction with partners, this is the first it has launched independently. Hong Kong was chosen due to the high interest in fintech among banks in the city, Coles says, adding that “the interest in is as high, if not higher, than in Singapore”. The company hopes to add further locations in Asia, although these have yet to be decided upon. Finastra is the third largest fintech company in the world, launched last year after a merger between Misys and D+H.